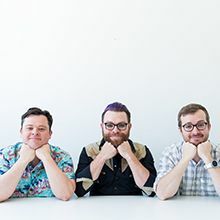 Justin, Travis, and Griffin McElroy are the force behind a series of very successful podcasts, most notably MY BROTHER MY BROTHER AND ME and THE ADVENTURE ZONE. Each get upwards of 300k unique downloads per episode, and regularly chart on iTunes. 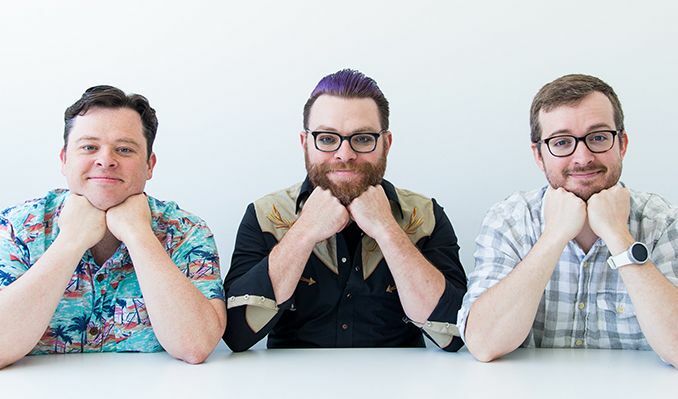 MY BROTHER MY BROTHER AND ME was launched as a TV series on the NBC streaming app, Seeso, and is now available on Google Play, VRV, and iTunes, where it was the #1 downloaded series when it was released there, nearly a year after the show’s initial launch. The first story arc of THE ADVENTURE ZONE was adapted into a graphic novel and hit #1 on the New York Times Bestsellers Paperback list when it debuted.